Several weeks ago I came into the mother lode of elderberries, and my mind turned to one thing. Mead, of course! For those of you who don’t know, mead is type of wine made with honey instead of sugar. Actually, when it’s made with fruit is technically called a melomel, but to keep things simple I’m just going to refer to it as mead. 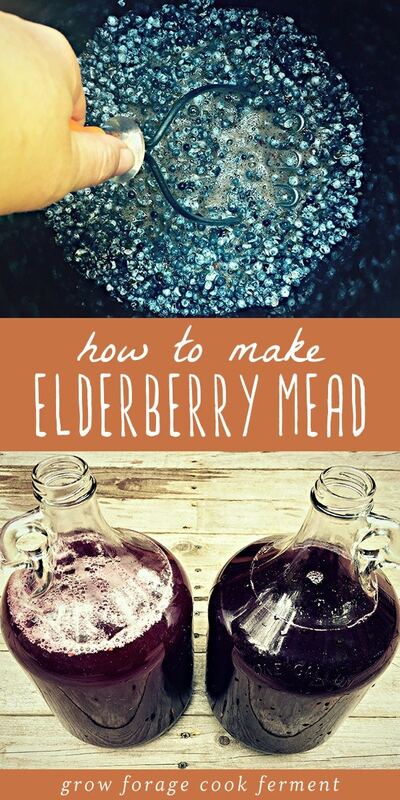 Here’s how to make elderberry mead. The first thing you will need for this recipe is elderberries, of course. 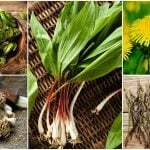 Foraging for them is usually fairly easy as they are common throughout the country. Once you collect a bunch of elderberry clusters, you’ll need to pick the berries from the stem. This can be a bit tedious, but if you get a few people on the job it goes fairly quickly. 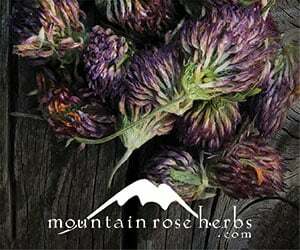 (You can alternatively purchase dried elderberries from Mountain Rose Herbs). Soon you will have a nice bowl full of berries. The exact amount really doesn’t matter, as that can be variable depending on how many you can find, but several cups is a good place to start. By the time all was said and done, we ended up with about ten cups of berries, which I turned into two gallons of mead. In my past mead recipes, I’ve fermented in gallon jars, but for this one I decided to do an open ferment in a 3 gallon crock for the first stage. 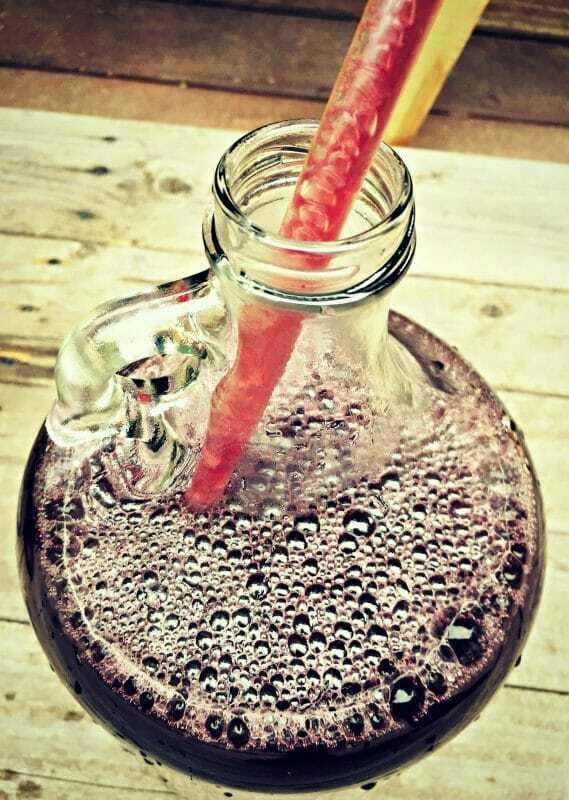 If you don’t want to do that, you can totally make this in airlocked gallon jugs, using the same method I used in my How to Make a Gallon of Mead post, just use elderberries as the fruit. First, make sure that you sanitize the crock and anything else that you will use in the process. 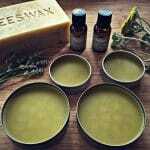 I usually use a product called One Step as it’s easy to use and non toxic. After sanitizing, I put the elderberries into the crock and mashed them up a bit with a potato masher to get the juices flowing. Then I added about a gallon and a half of cool, non chlorinated water, along with a cinnamon stick and a few whole cloves to the berries in the crock. Next I poured in about five pounds of raw honey (here is a good deal on three pounds), which will result in a fairly dry mead for a two gallon batch. Use more if you like it sweeter. Since the water is cool the honey won’t totally dissolve right away, but that’s ok. I went back on forth on this, but in the end I decided to use a packet of cuvee yeast for this mead (you could also use champagne yeast). 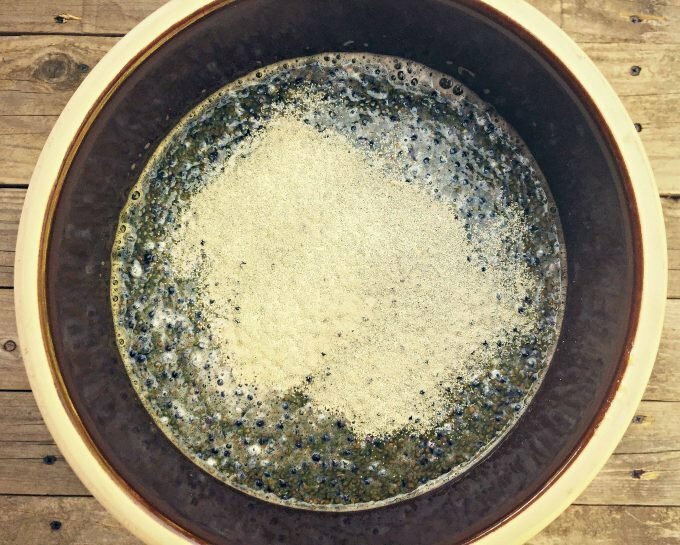 Since blue elderberries have a nice bloom on them and raw honey ferments well on its own, you could probably do this as a wild ferment (with no added yeast). 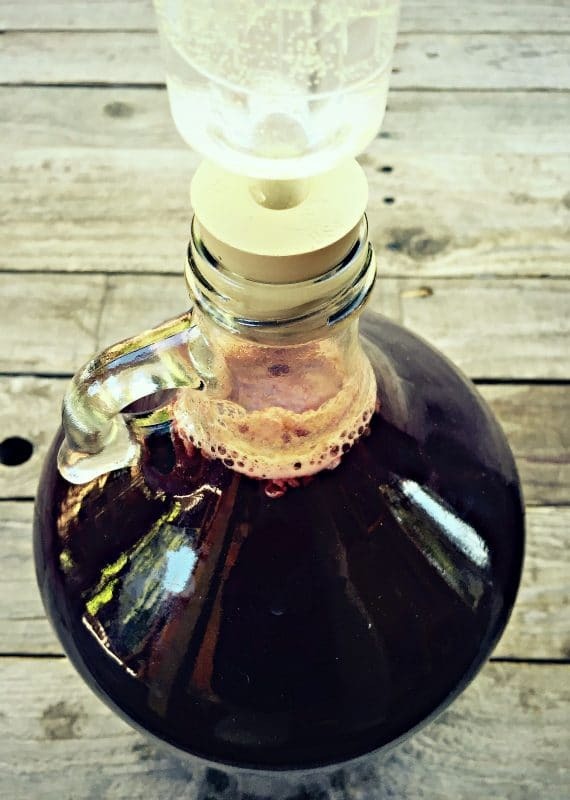 I definitely want to try this someday, but with all the labor that went into collecting and picking the elderberries, along with the cost of the honey, I really wanted to make sure this mead turned out ok. Wild yeasts can produce unpredictable results, so I chose to use added yeast for this batch. 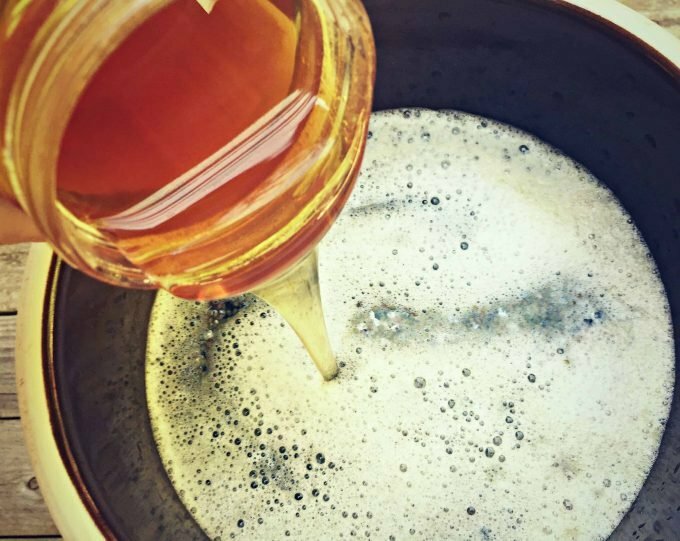 Be aware that cuvee yeast produces an extremely dry end product, so if you’re looking for some sweetness you’ll either need to add more honey or use a sweet wine yeast. Sprinkle the yeast on top of elderberry mixture. You really don’t need to stir it as the yeast actually likes a bit of oxygen from the surface at first, then will eventually sink down. Cover the crock with a towel and put in quiet corner of your house. By the next day you should see some bubbling action. The bubbles actually made the berries start to rise up above the surface of the liquid, so I used a clean spoon to stir them down about once per day. Soon you could really tell that the liquid had soaked up all elderberry juices and was starting to turn a gorgeous deep purple color. After about a week, when the bubbles start to slow down just a bit, but are still going strong, you should rack the mead off of the berries into gallon glass jugs with airlocks. When you use a yeast packet, that yeast will outcompete any wild yeasts that may be around. Once the yeast starts to slow down, however, wild yeasts can start to take over and you could end up with elderberry vinegar on your hands. May not be a bad thing, but that’s not what we’re going for here! 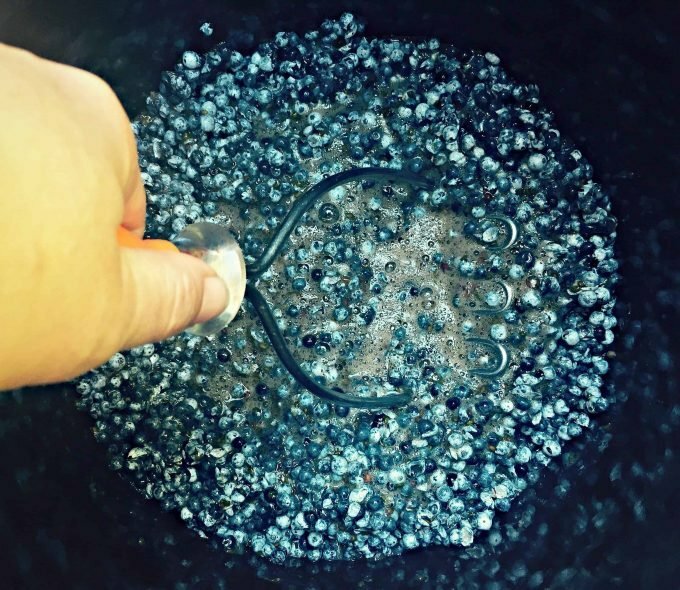 So you’ll want to finish out the fermentation in (sanitized!) airlocked jugs. 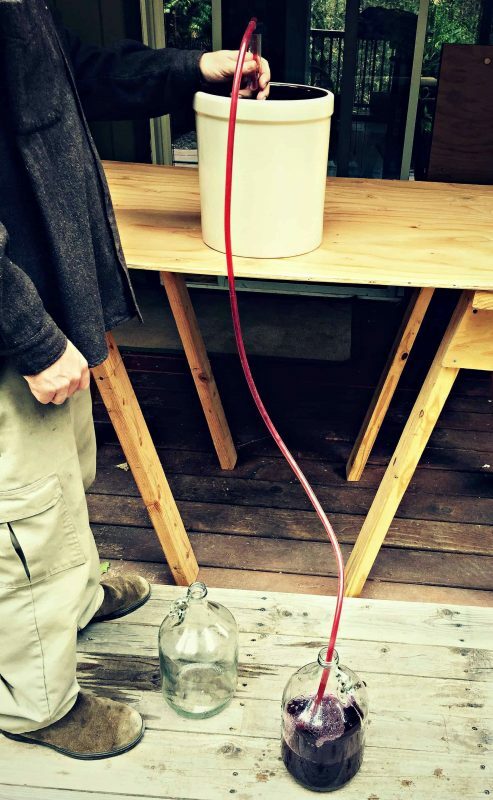 Use an auto siphon (the mini one works great) to transfer the liquid into gallon jugs. Look at how deep, dark purple it is! Due to evaporation, I ended up with slightly less than two gallons, which is actually what I was aiming for. How I achieved this feat I’ll never know. Equal out the levels of mead, then add more honey water to top it off. This will help to reinvigorate the yeast and give them a little more to chew on. Then fill the airlocks with a little water to the line, and put them into the jugs. They should start bubbling away again pretty quickly. Let this go for several weeks until all signs of bubbling has stopped. Once the bubbling has completely stopped, you can bottle it using the same method I used for hard cider, or use wine bottles and a corking tool like I did here. I tasted a bit when we were racking it and it was actually quite nice, more like a dry red wine than anything else. It will make a great drink for the holidays, that’s for sure! 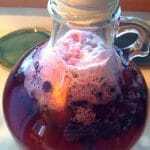 Mulled elderberry mead, anyone? This is what it’s all about guys… foraging for your own food, then turning it into wine! 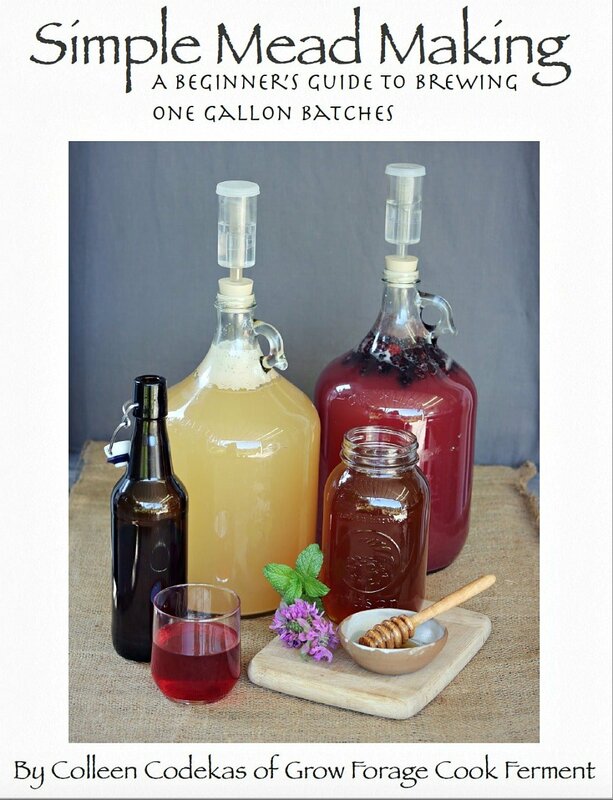 Mead, or fermented honey wine, is a delicious ancient fermented beverage and it's so easy to make! 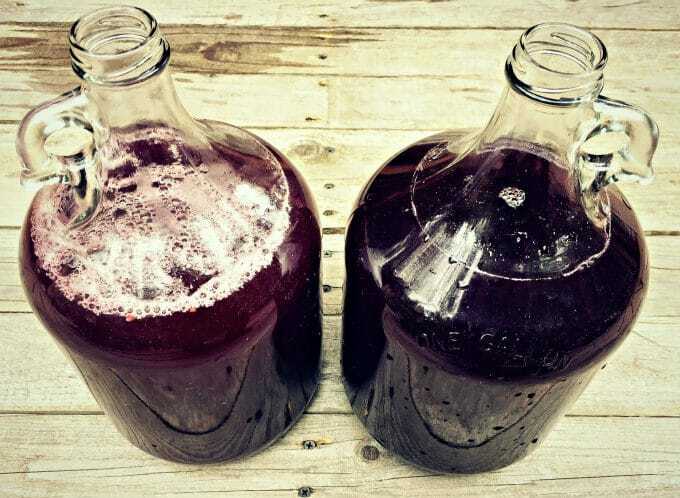 This elderberry mead, made with foraged berries, is a wonderful version of classic mead and perfect for the holidays. 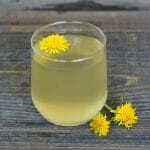 Sanitize all of your tools and supplies you will be using to make this mead. Put the elderberries into the crock and mashed them up a bit with a potato masher to get the juices flowing. Add about a gallon and a half of cool water, along with a cinnamon stick and a few whole cloves to the berries in the crock. Cover the crock with a towel and put in quiet corner of your house. By the next day you should see some bubbling action. Stir the berries down once a day. 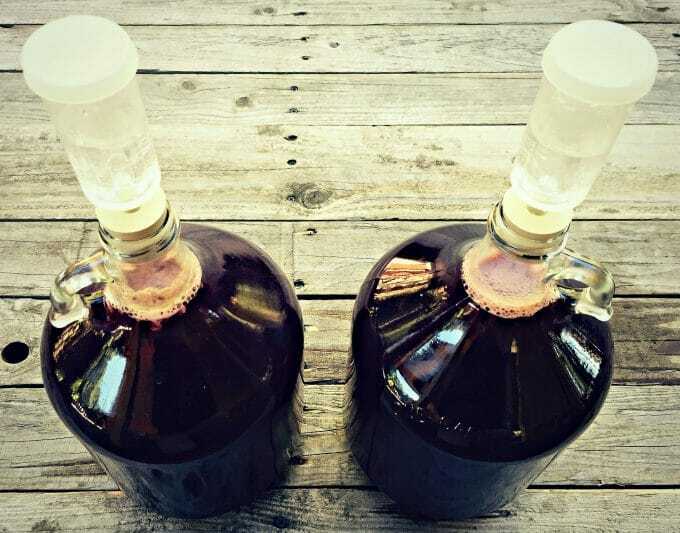 After about a week, when the bubbles start to slow down just a bit, but are still going strong, you should rack the mead off of the berries into gallon glass jugs with airlocks. 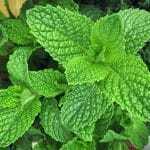 Use an auto siphon to transfer the liquid into gallon jugs. Equal out the levels of mead, then add more honey water to top it off. This will help to reinvigorate the yeast and give them a little more to chew on. Then fill the airlocks with a little water to the line, and put them into the jugs. They should start bubbling away again pretty quickly. Let this go for several weeks until all signs of bubbling has stopped. Once the bubbling has completely stopped, you can bottle it up. Due to evaporation, I ended up with slightly less than two gallons of elderberry mead. Rehydrate dried elderberries before making mead if fresh aren't available. 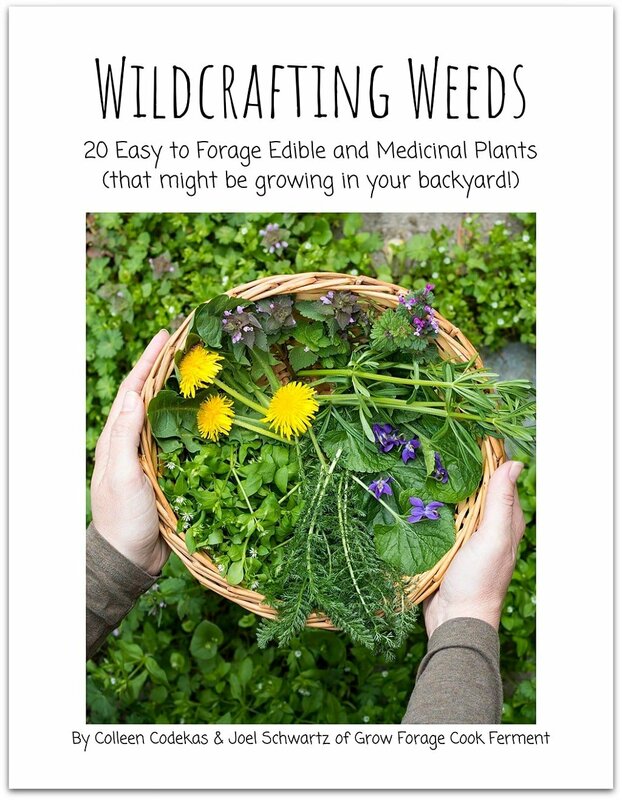 Hi, I just found your site seeking out recipes to use for my chickweed. But I also have 2 gallons of strong elderberry juice( unsweetened) in my fridge from my elderberry harvest. Can I use that to make a mead? I made this recipe with plums and with elderberries dried, but I didn’t leave the elderberries in the ferment, and didn’t use raisins or orange and just racked it and it is delicious. 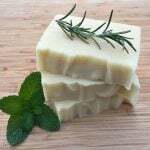 Great recipe and I will be making more! 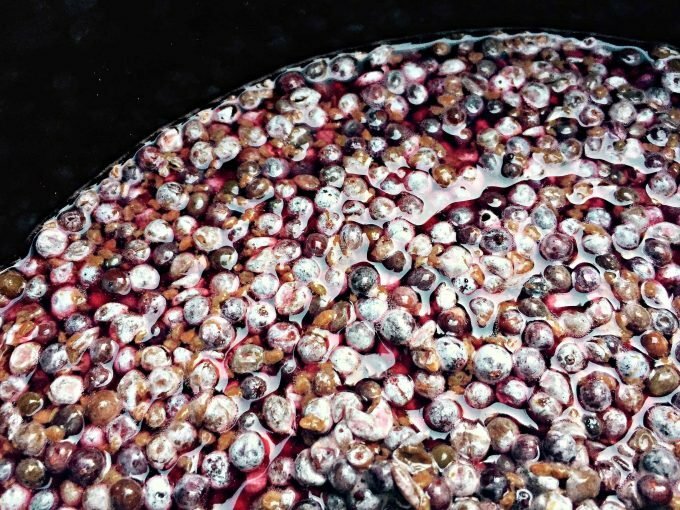 I understand that elderberries are mildly poisonous, so how does fermenting change that? I have a batch of black elderberry mead airlocked, but I am a little apprehensive about the safety of my brew.. Does anyone have any info on this? Hey, thanks so much for posting it. I am so excited to try this. This will be my first alcoholic fermentation. I got all the stuff today and am about to go out and forage for some more elderberries. 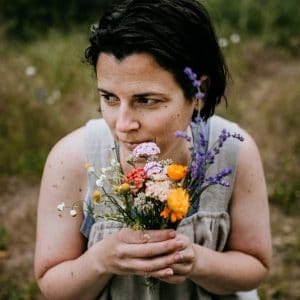 I love the endless possibilities fermenting offers, I’ve been doing a lot of trials and testing for my own blog because I want to post some fermentation recipes there in the future. If you hate picking the berries from the stems, freeze the whole shebang in a plastic bag. When frozen, rub gently and all the berries will fall off. Put the mix of berries and stems on a big tray and gently blow. The stems will be blown of. I was a bit apprehensive to pick the Elderberries as there were warnings that poison Water Hemlock and Elderberries both grow in wetlands. 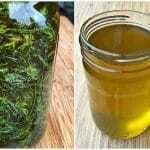 Greene Dean at http://www.eattheweeds.com has a great You Tube video illustrating the differences between the two. Elderberries should always be cooked to eliminate the cyanide in the plant. read Stephen H Buhner. Fermenting also takes care of this. Hi there. We just racked the mead for the 2nd ferment & we wondered what we could do with the berries now that they are not being used for mead. Any suggestions? Thank-you! Love your site. I feed my leftover fruit from mead making to my chickens after giving them a good wash! They loved the rose hips best out of everything I’ve tossed them thus far! 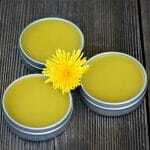 Could this be made with elderberry juice concentrate? I suppose it could, but I have no idea where you would get that! 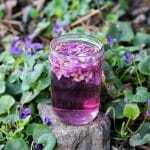 EC Krause Has elderberry juice on their website along with everything else you may need. My local homebrew store can also get me whatever I need. Regarding the honey water top-up, what was your ratio of honey:water? And how did you add? Does this replace the need for yeast energizer? Honestly I don’t remember what the ratio was, and I really don’t think it matters too much. I added it to the gallon jugs with a sanitized funnel. I don’t ever use yeast energizer, so I can’t really say if this is a good replacement for it or not. What would be the amount of sugar instead of honey in this recipe? We made elder berry Mead in 5gallon carboys. Be watchful, this likes to foam up in your carboy. It did in my friends. Plugged off her airlock. Once the pressure got high enough, it blew the corks right out. She still has Mead stains on her ceiling. What a mess. A blow off hose will solve that in the future. It’s common for brewers to use them with brews that have a high starting gravity or dark beers. Both of which have a wicked fermentation that goes on. I’ve made a strawberr/rhubarb beer that blew the bung out and it stuck in my basement ceiling. I learned from that mistake. I am looking for a recipe for a peach mead, to yield about two or so gallons, we are wanting to serve this at our wedding reception later this year. tia! Hi Lesa, that sounds like a great idea. Peach mead is wonderful! I would follow my How to Make a Gallon of Mead recipe and just use peaches instead of blueberries, frozen works fine (peaches aren’t exactly in season right now). 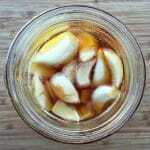 I would still add a couple of orange slices, as citrus is helpful for the yeast, as well as the raisins. Congrats on your wedding, and let me know if you have any questions! 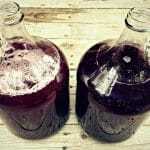 Is there any specific reason why you did a primary and secondary fermentation in this process as opposed to the 1 gallon recipe where you do all fermentation in the same carboy? Do you use yeast energizer or nutrient? Thank you for the easy to follow directions. This is such a lovely post! Very thorough explanation and I learned a ton – thanks so much. 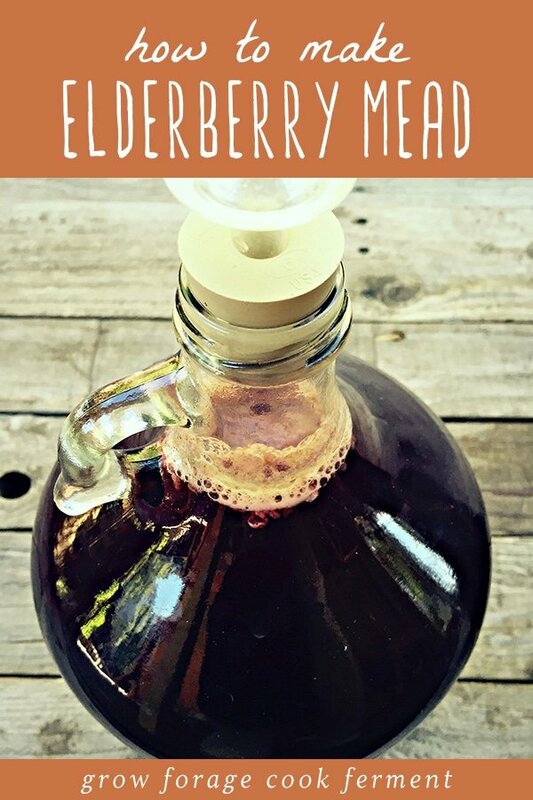 Love seeing folks making elderberry mead. 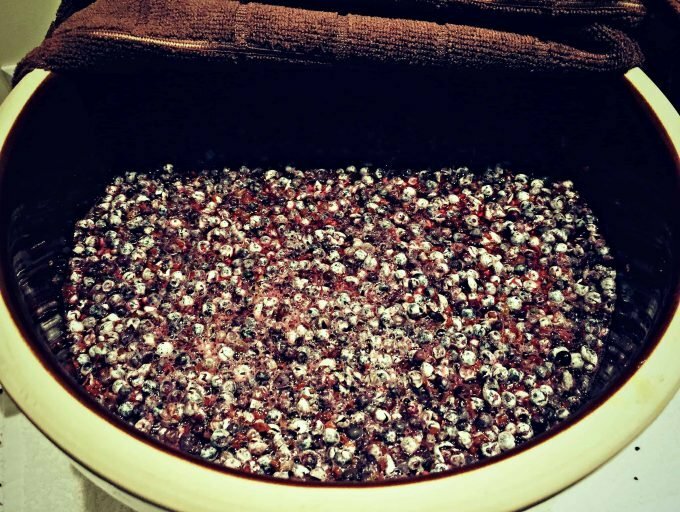 Our favorite is with the dried elderberries we dry ourselves, the drying gives the berries a deeper richer taste if you can imagine that since they already have so much taste going for them fresh. We also have an elderberry Bochetomel going, elderberries and caremalized honey, letting it age on some oak right now. Vinegar is made from bacteria, if you want to stop that in its tracks some sulfites will knock it out as well as mentioned above making sure no air gets to your mead. 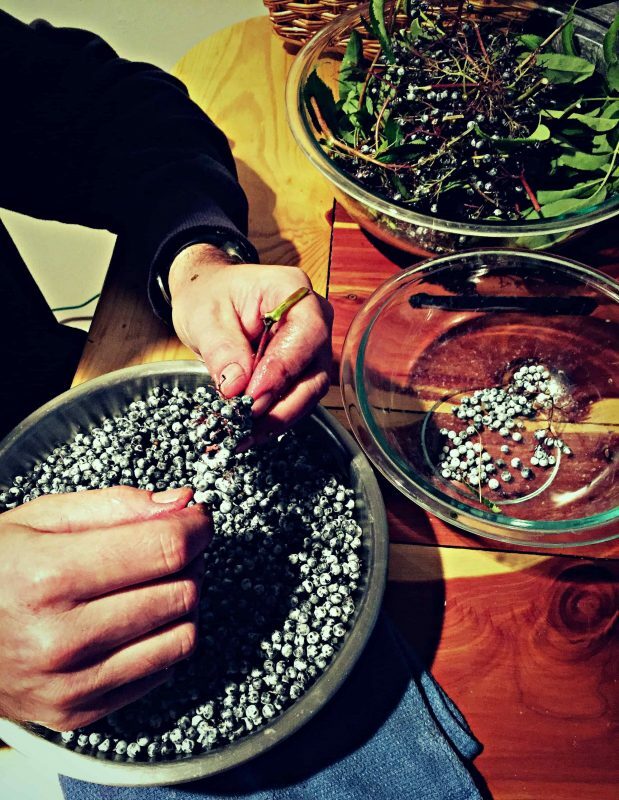 Our elderberry website has a few more hints on picking, sorting out ripe and unripe berries and a few recipes, we grow the black variety at home, We were kindly gifted some blue elderberries like you are using and it actually does taste a little different from the black elders. Unfortunately for us, a new fruit fly, the spotted wing drosophila has moved in and has taken over our elderberries reducing our harvest by over 90%! It’s my understanding that a bochet is mead made with caramelized or burnt honey and a bochetomel is a bochet made with fruit. I don’t think it has to be elderberries specifically. I’ve got 5 gallons bubbling away right now. I go ahead and process the berries into juice first, less mess and I freeze the rest (my trees yeild about 3-5 gallons each year. )to make into jelly and syrups later. 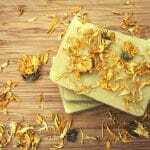 This avoids any stems (even tiny ones) that have slightly toxic chemicals. When sorting use a big bus tub half full of water and use a “afro-pic” to gently comb the berries off the clusters into the water. Ripe ones will sink, unripe float…big strainer helps to scoop those off leaving the good ones in the bottom. I can by myself sort and clean 2 or 3 gallon baggies of berries in about 90 minutes. If you want a quick way to get the berries off the clusters, just put the clusters in a bag and freeze them. 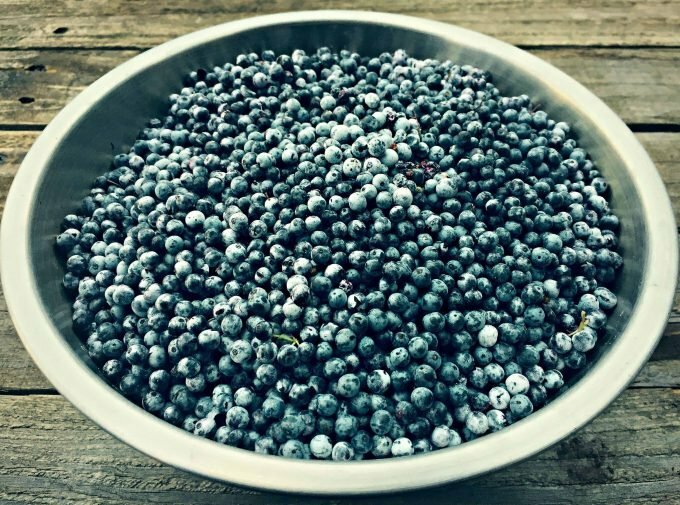 Once frozen, you can just take them out and roll the clusters in your hand and almost all of the berries fall right off. I typically do 5 gallon batches direct in a carboy so processing a bunch of berries needs to be pretty efficient for me. 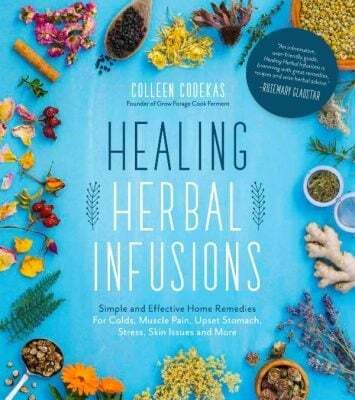 Can you use dried elderberries? Also, could you do this all in car boys instead of the crock? I have read that you can add some honeyed water to the bottles at the end to get a carbonated mead – how much would you add and can you still use those clamp top bottles or would you need to use bottles with caps? Yes, you could use dried elderberries. 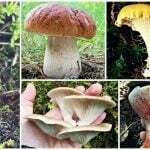 I’ve never done it, but I would think that you would want to soak them in hot water to extract all of the goodness out of them, then use that to make the mead. You could definitely do this in carboys instead of using a crock, just like I did in my How to Make a Gallon of Mead post. You can add some honeyed water before bottling to make it carbonated, but I’ve never done it so I’m not sure about amounts. I would start small, though, as you don’t want any bottle explosions! There really is no difference (besides ease of use) between the flip top bottles and bottles with caps, so use either one. Fun Colleen…good job! Miss sharing the mead with you and Joel! Fascinating process. Thank you for sharing. Colleen, how long do you plan to let the mead ferment in secondary? I have only made “young” meads before, which are delicious too. You’re making me wish again that I had elderberries out here in Arizona . . . If you bottle your second ferment before 6 months there’s a very good chance you’ll end up with exploding bottles. Simply not true at all. If you are degassing properly (daily during primary fermentation), using staggered nutrient additions and you’re mead is completely finished fermenting (.990) it can be bottled as soon as it is completely clear without fear of bottle bombs. Yes, sometimes it can take some months to clear but stating that bottling before six months in secondary results in bottle bombs is far from the truth. Bottle bombs are the result of fermentation not being finished. Mead ferments without nutrient additions CAN often become stuck leading to someone thinking their mead is done and bottling too soon only to have bombs but if you are using a hydrometer to take readings, degassing, using SNA’s and know the basics of your chosen yeast strain (alcohol tolerance, proper temps, etc) a quality mead can be bottled in less than 6 months from pitch date. The picture below is of a bochet cyser whose carboy has been solid bunged and taped shut since 3 months from the start date. It would have already been bottled had it not been part of an ongoing solera project.